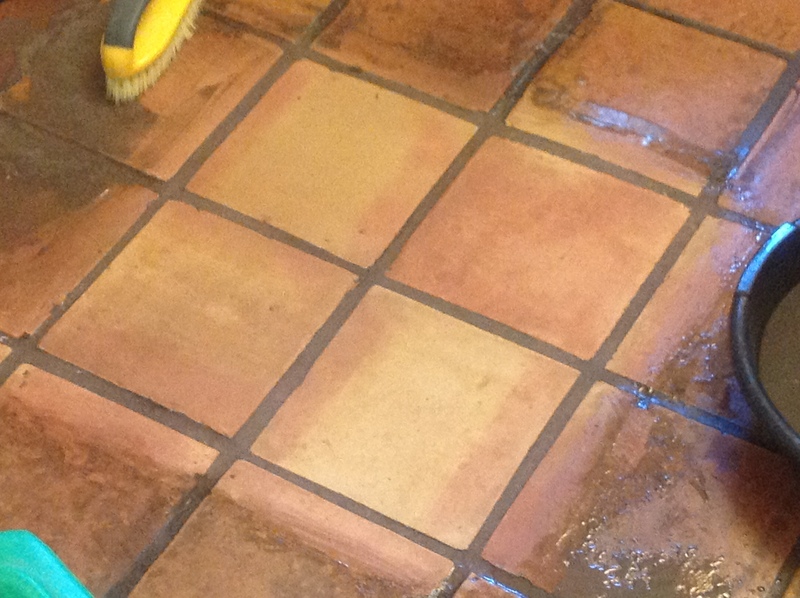 Our refinishing service is a detailed process that includes stripping and removing all the old existing sealer and finish from saltillo tiles, Mexican tile, slate, flagstone tiles, brick, manganese tile, travertine floors, marble, limestone, and natural stone. All done by hand to reach even the most remote areas such as corners, stairs, bathrooms, etc. 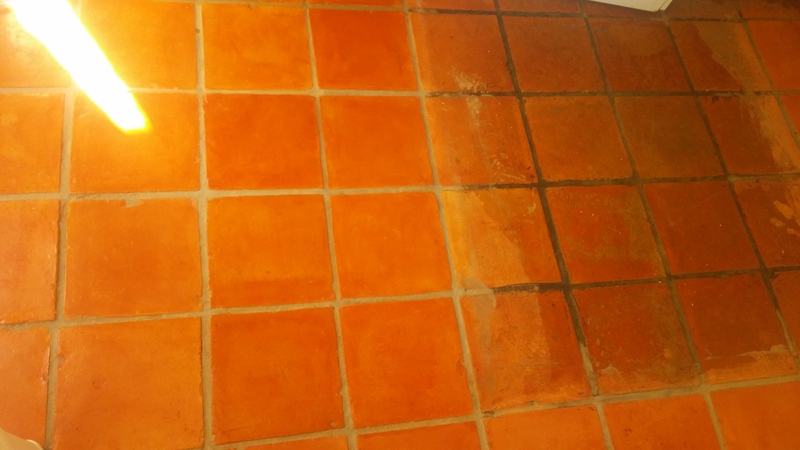 After removing all that old sealer, most natural stone tiles and ceramic tile can be truly cleaned, as the embedded dirt that was in the existing sealer has been removed and now the real dirt is accessible in or on the raw tiles. NOTE: If your floor was installed and sealed correctly, refinishing and cleaning will visually be a dramatic difference. The floor will look great because it was properly protected before-hand. Take your clean floor tiles to the next level with various sealer options each with their own pros and cons. Our knowledge and over 23 years of expertise will help you cut through the BS and make an educated decision that you can be proud of. 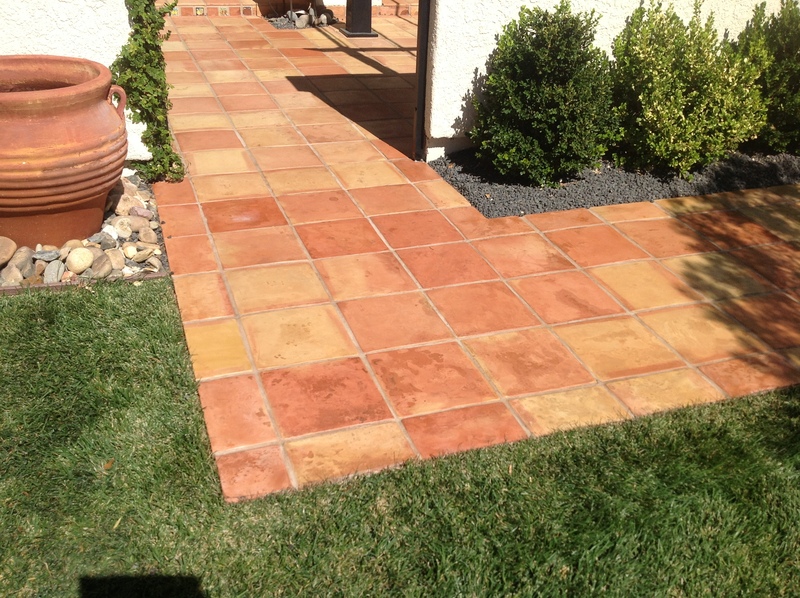 NOTE: We do not recommend topical coating sealers on uncovered outdoor tiles because the elements (rain, sun, weather) can cause severe damage and efflorescence, making the sealer useless. 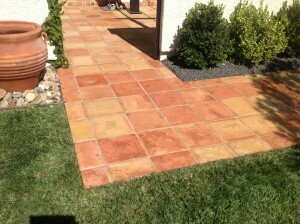 Instead, we suggest a penetrating sealer or a color enhancing sealer to increase depth without a high shine finish. We value educating our customers and preventing future tile floor headaches, or future refinishing. If the floor is correctly maintained, (which varies depending on the type of floor you have) then the tiles should not have to be stripped again for at least 3 to 5 years. Proper maintenance should definately be a scheduled priority if you really love your floors.